Bowen University school fees increment notice to parents/guardians. In the context of the continuing economic challenges in the country and its impact on the finances on private institutions in the country, and particularly on Bowen University, a moderate increment in the fees for the 2017/2018 session has become imperative. I am grateful for the opportunity once again to write you our dear parents of our existing students, prospective parents and other stakeholders on the 2017/2018 fees of Bowen University published late Tuesday evening. In the past three months, the Governing Council has discussed passionately the matter of increment of fees for the forthcoming session and has come to a conclusion that in the context of the continuing economic challenges in the country and its impact on the finances on private institutions in the country, and particularly on Bowen University, a moderate increment in the fees for the 2017/2018 session has become imperative. Although the Federal Government has been working to stabilise the economy, prices of goods continue to rise, while the exchange rate of the Nigerian Naira to other foreign currency still remain high, impacting negatively on imported goods. These are times we do not bargain for and moments we genuinely hope would not last. More pertinent to this issue is that Bowen University, like other private institution in the country, does not receive any form of support from the Tertiary Education Trust Fund (TETFUND) or any government subsidy for higher education in the country, yet we provide an enviable quality education. Consequently, the University Council at its meeting of 30 June 2017 adjustedupward the fees ranging between 7% and 11% across board when compared to the 2016/2017 fees. For the returning students, therate of increment is between 7% and 8% on the 2016/2017 fees. With this increase, the standard fee for new studentsin the 2017/2018 session is N650,00.00; N630,000 for those in the second year, and N615,000 for those in the 300 to 500 levels. Some other courses range between N325,000.00 to N570,000.00, while some professional courses like Medicine and Law are priced premiumly. These fees represent the totality of what each student will pay for tuition fees, accommodation and conveniences, health care, and other fees. We want to assure our esteemed parents that there is no additional fee besides the advertised rates.lt is very pertinent to add that the University continues to sustain its policy of permitting fees to be paid in instalments, to ease the burden on parents. Indeed, the increase has been informed by our determination not to lose our pride as an excellent institution and a foremost one among private universities in the country. The increment in the school fees of our highly esteemed students is not one we desire but as a result of the present economic situation of our country. But let this be known to all Bowenites there that we hear your cries and would by the grace of God, make sure the basic needs of all Bowenites are met individually. The Management recognises the imperativeness of parents and students in the existence and success of Bowen University. The University belongs to all its stakeholders and it is our plea that we should be proud of its existence; hence the increment in the school fees is to enable quality and better delivery of services to our students. As is our practice, Bowen University is committed to ensuring that students enjoy high quality education in an environment where they are empowered to develop innovative entrepreneurial skills and contribute to the advancement of knowledge that will promote the well-being of our society. In the light of the content of this letter, I am requesting parents and guardians to support Bowen University in its determination to maintain a very peaceful teaching and learning environment for its staff and students. 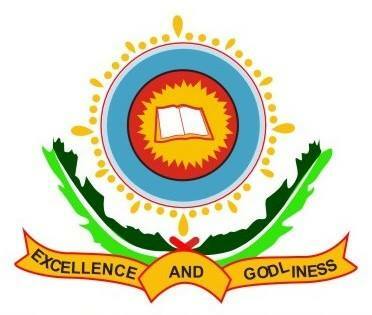 Specifically, I would like parents and guardians to counsel their wards to avoid any form of negative information on the social and other media.Finally, our appeal is that students, staff and the proprietor of Bowen University work together to form a united team that will promote the glory of God in the life of our students who will in the nearest future manage and be proud of their alma mater.